Lock in a great price for Le Petit Hotel La Passe Pierre Par La Galouine – rated 8.2 by recent guests! Room was very small, with little space between bed & walls. Stall shower would not do for a large person, but towels were thick & absorbent. Very clean, new, quiet. Misleading information about the 'included, but not really included' breakfast, and a discrepancy between the price printed on the in-room information binder and the actual price charged in the restaurant. Still, knowing all that, we would stay there again. It was warm inside and close to the interest points. 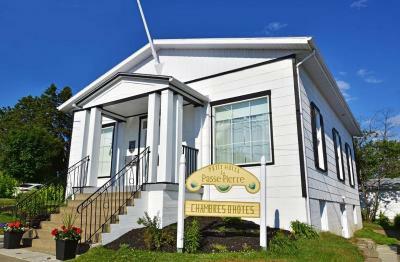 Accommodation in Tadoussac is generally not so cheap and this was a good value option. 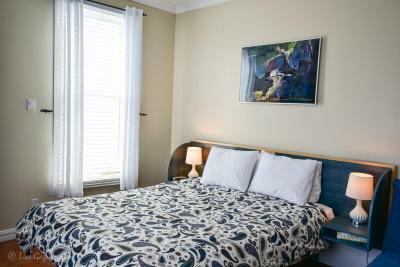 Clean and comfortable room, walking distance from most places. La situation dans Tadoussac. Le parking privatif. La décoration de la chambre. Grand confort du lit et de la Sdb. Calme de la chambre. Nous etions ds la chambre semi-sous sol. Plafond tres bas, chambre de bain exigüe au maximum. C'est beaucoup trop cher pour ce que nous avons eu! Tres bruyant, peu insonorisé! Par contre c'était très propre! La chambre était impeccable, très propre et bien équipée, et le lit était confortable. Il y a même un petit coin cuisine avec des tasses, des bols, et une bouilloire à disposition. L’emplacement, l’accueil, la propreté. Très bonne adresse, à recommander. 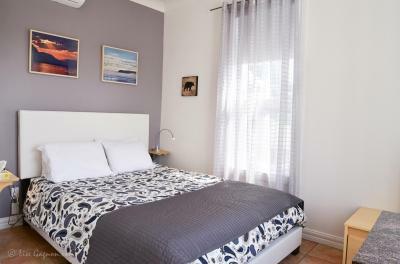 Le Petit Hotel La Passe Pierre Par La Galouine This rating is a reflection of how the property compares to the industry standard when it comes to price, facilities and services available. It's based on a self-evaluation by the property. Use this rating to help choose your stay! A 3-minute walk from Tadoussac Chapel, Le Petit Hotel La Passe Pierre Par La Galouine is set in Tadoussac and features free WiFi and a ticket service. At the hotel, the rooms are equipped with a wardrobe. Guests can enjoy local dishes at the restaurant or have a cocktail at the bar. This property is located a short distance from attractions such as Marine Mammal Interpretation Center and Pointe de L'Islet. When would you like to stay at Le Petit Hotel La Passe Pierre Par La Galouine? This half-basement room has air conditioning. House Rules Le Petit Hotel La Passe Pierre Par La Galouine takes special requests – add in the next step! Le Petit Hotel La Passe Pierre Par La Galouine accepts these cards and reserves the right to temporarily hold an amount prior to arrival. Please note that the rooms cannot accommodate more guests than the maximum number of guests listed. If traveling with babies or children, please contact the hotel directly. The staff were not nice at all, they didn't speak English or even tried, they didn't explain to us where the room was, in fact we had to come back a couple of times since we received bad instructions and the wrong key. In general, they were not friendly and didn't welcome us in any way. The room was alright but if you don't like stairs, this is not a place for you (there was no lift). Modern, clean and close to everything.